With Dynamic Lacrosse String Kits by Mogul Mesh, you can make sure your head is perfectly strung so you can perform your best. Lacrosse sticks are the most complex and diverse pieces of equipment in any sport. The way the head is strung will affect your catching, passing, shooting, hold, and face-off winning potential, and is what makes your stick great! Users have reported that Mogul Mesh breaks in best when strung very tightly. 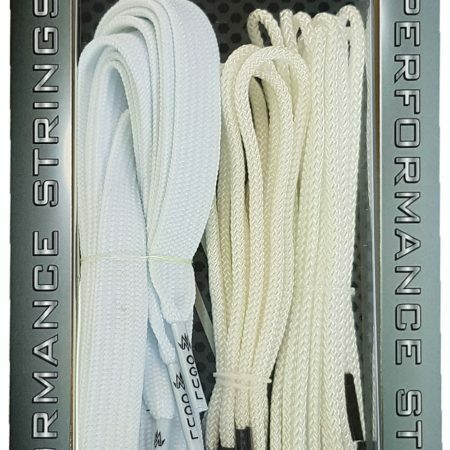 Lower quality lacrosse string kits will wear and tear when strung tightly since the fibers cut against the edges of your head. Mogul Mesh strings are specifically designed with durability in mind, so you can string as tightly as you need without worrying about longevity. 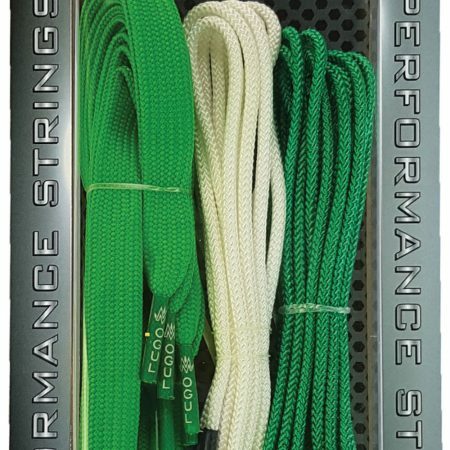 Another factor that affects the performance of lower quality strings is the effect of water and mud over time. 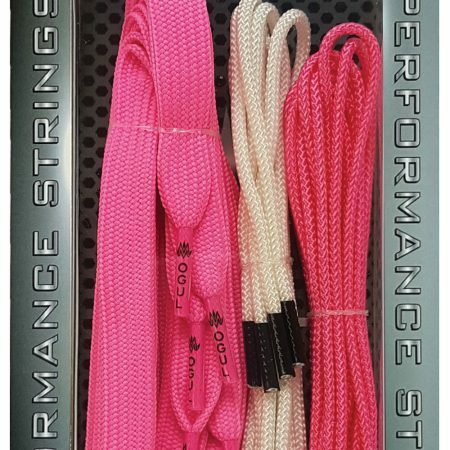 Water loosens and weakens strings making knots slowly slip undone and making the strings themselves more prone to abrasions. 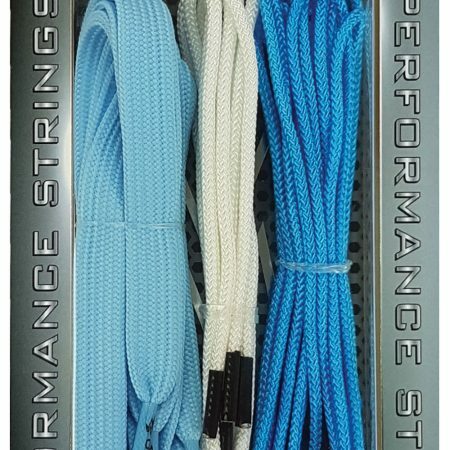 Mogul Mesh Lacrosse Strings however are water resistant and will last far longer than other products in poor weather conditions, this means your stick will perform better as well as last longer. Though Mogul Mesh can be strung with any strings available, elite mesh is best paired with elite strings. 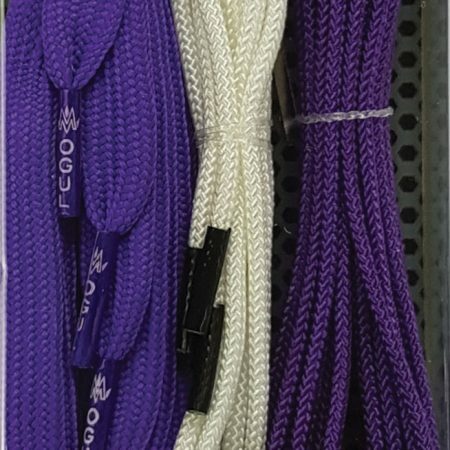 On top of this, Mogul Mesh Lacrosse strings are available in a large selection of colors, so you can look as good as you play. This large selection gives you the luxury of matching colours with your team’s uniform, your nations colors, or maybe even just give your stick that unique look, regardless, they give you the freedom to customize both your performance and style. 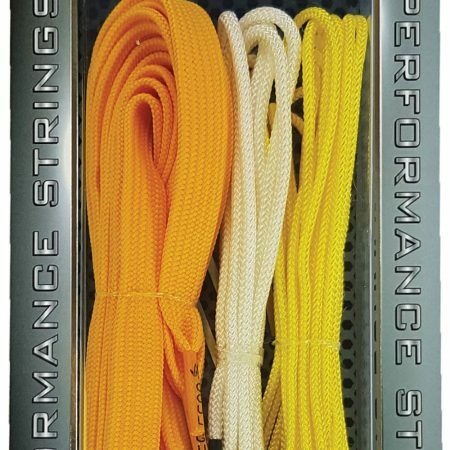 Look and play your best with this selection of elite performance colored lacrosse strings! With this assortment, you have all the tools you need get your head performing the way you want.